New York — Historical Arts & Casting, Inc.
HACI has done a lot of work in New York City. 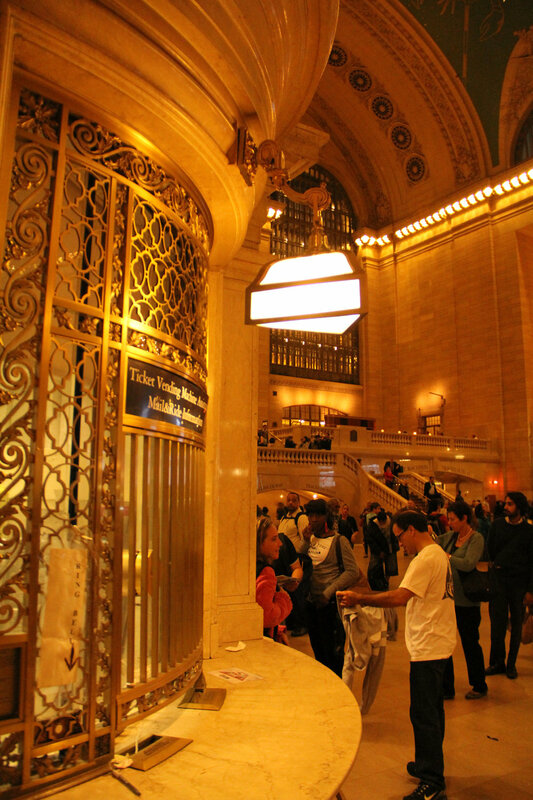 One ongoing connection has been to Grand Central Terminal, an easily recognizable feature of the city. Grand Central Terminal is a fixture of New York City today, but it was not always. Only 50-some years ago, the building, itself already 50 years old, was in danger of being torn down. Preservation efforts by Jackie Kennedy and others saved the Terminal, and restoration work since then has brought the Terminal back to its former glory — even improving it in some ways. The major restoration work is ongoing since 1996 under the direction of Beyer Blinder Belle Architects, including new electrical systems, light fixture restoration, the completion of some of the original plans for the Terminal, and the reproduction of pieces that had been removed from the Terminal altogether. 5 large melon-shaped bronze chandeliers hang along each side of Grand Central’s main concourse, opposite glazed cast iron grilles. Each fixture weighs around 800 pounds, and contains over 100 light bulbs. They can be raised and lowered as needed for maintenance, a feature that was improved when they were reinstalled after being restored by HACI in 1997. The larger chandelier, which was restored in the early 1990s, is one of 5 hanging in Vanderbilt Hall, a huge 58’-by-207’ space typically used as an event venue. Each chandelier is just over 18 feet high - not including the chain - and 8 feet across. Even the ticket windows have a story. The current window grilles are a replacement, designed and made using only historical photos as reference by the company that built them. The originals were melted down for arms during World War II. 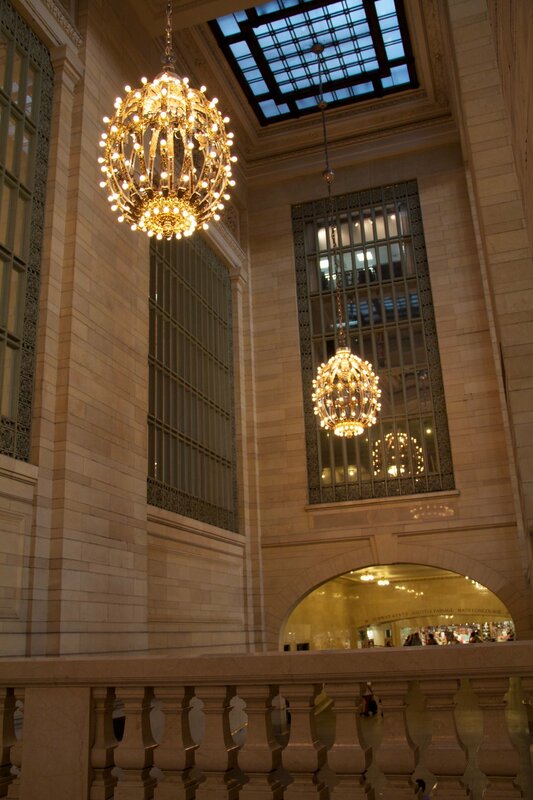 More familiar to Historical Arts are the bronze lights above them and the luggage racks below, which we replicated in 1997 during the major renovation and restoration of Grand Central Terminal. The famous four-faced clock above the Terminal’s Information booth was valued in 2013 to be worth between $10 and $20 million. The clock, which was restored minimally in the 50s and is even now almost entirely original, was built in 1913 by Connecticut clock manufacturing company Seth Thomas, which was celebrating its centennial anniversary that year. While we’ve never done any work on this clock here at HACI, we can certainly appreciate the artistry that went into making such a beautiful timepiece! Even the space outside the building has HACI’s mark on it. 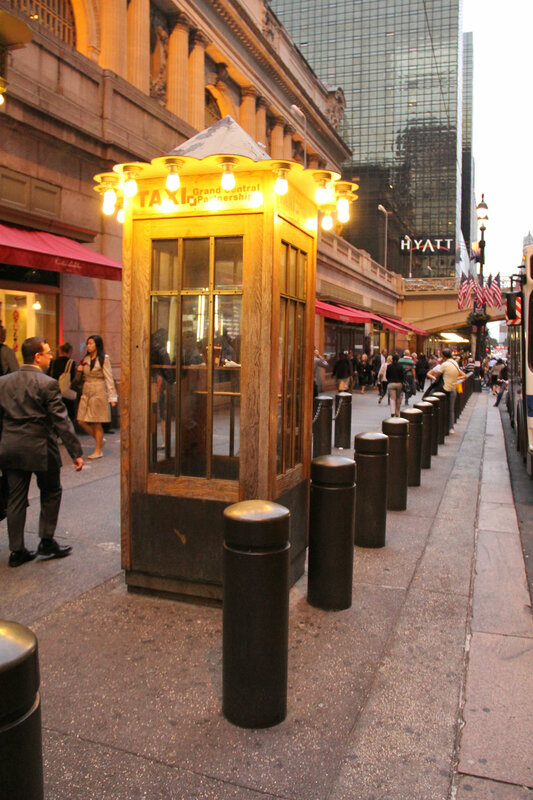 Hundreds of bronze bollards line the sidewalks just outside Grand Central Terminal. Our most recent work at the Terminal is the restoration of two bronze double-head post light fixtures, which are installed on the viaduct just south of the Terminal. There are many more of these fixtures to restore. We hope that the restoration of the remainder of the post fixtures will continue in the near future, as the restoration and improvement of Grand Central Terminal continues.